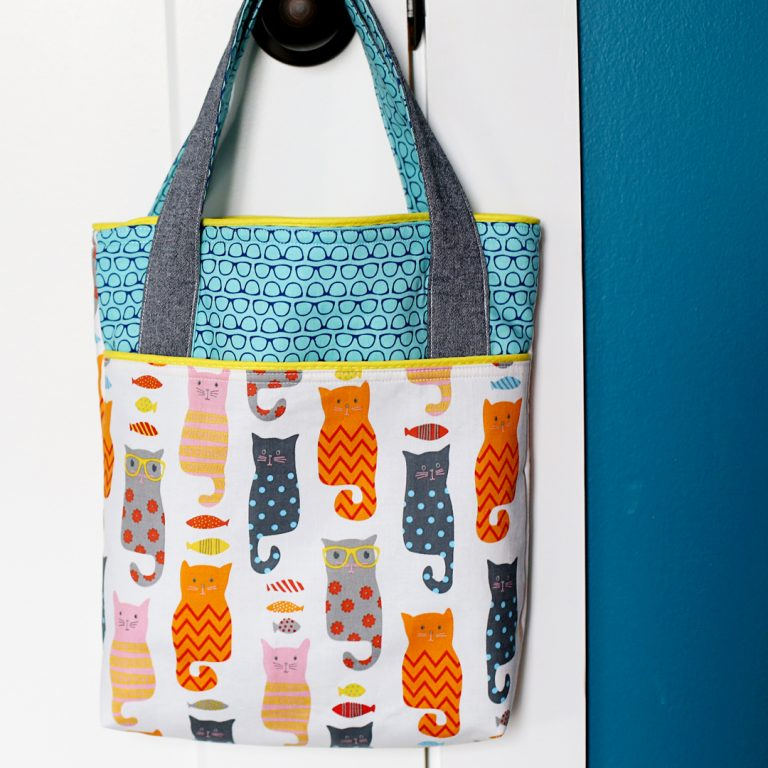 Sewing up a tote bag is a quick and easy project that’s great for the beginner but also a fun project that even the advanced of sewists like to come back to again and again. These free tote bag patterns are for the beginner to the advanced beginner but can be a great project for anyone. 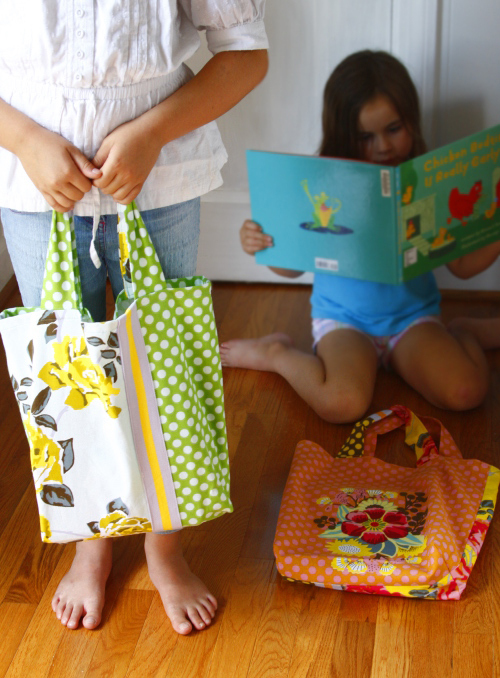 You can use these tote bag patterns to sew up a tote that you can use at the library, grocery store, farmer’s market, pool, school, the office, and really just about anywhere. You really can’t have enough tote bags. 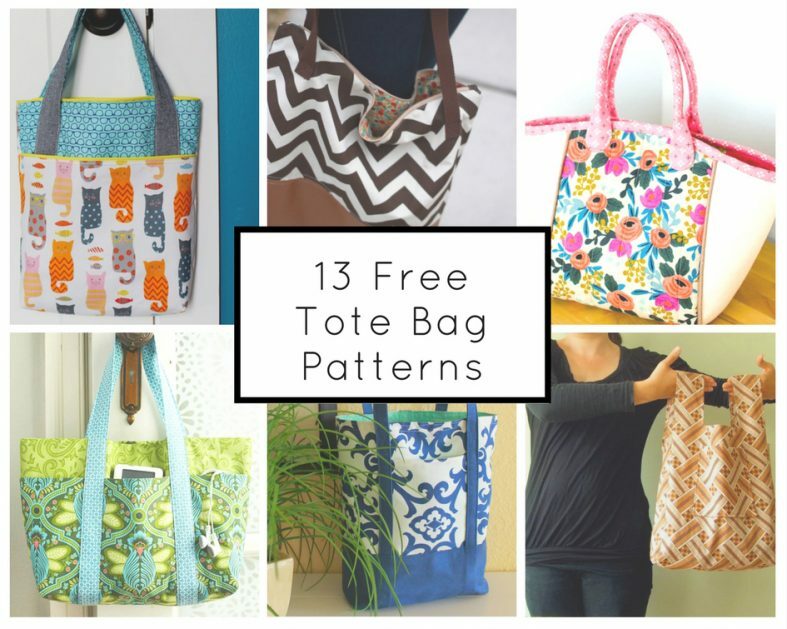 There’s a wide variety of free tote bag patterns here that include simple bags that take only 20 minutes to sew up, bags that have a lining, totes with tons of pockets, bags with snaps or zippers, totes that feature piping, and more. 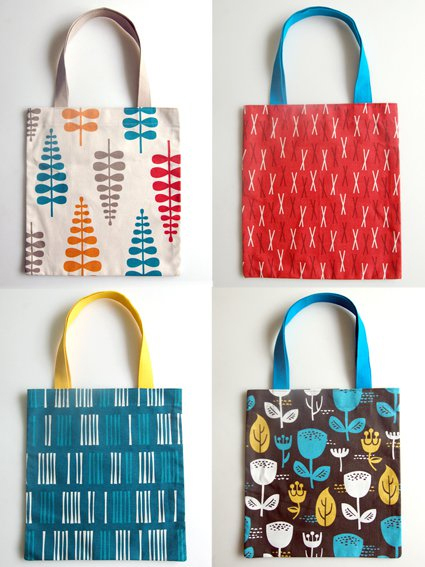 I’ve suggested some fun changes if you’d like to make the tote your own and challenge yourself a bit. 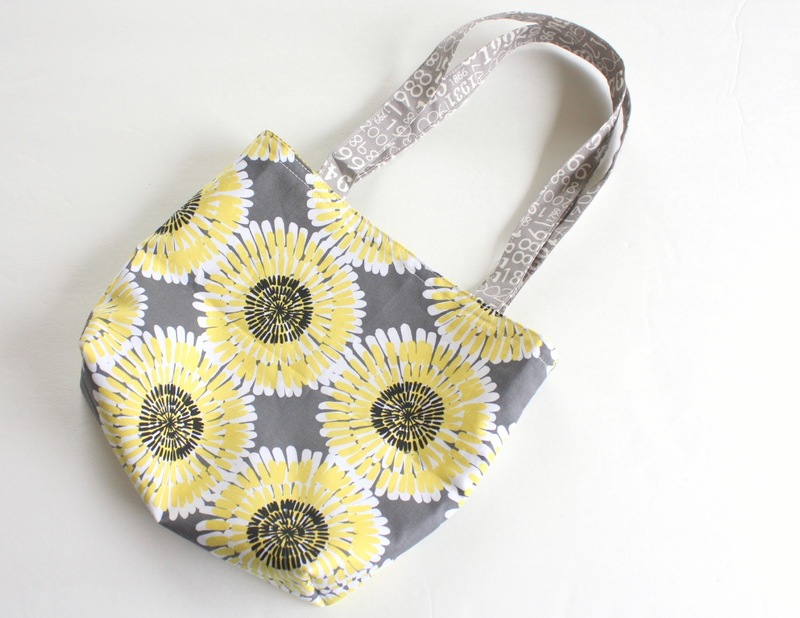 This free pocket tote bag pattern from Sugar Bee Crafts features a large pocket on the side, boxed corners on the bottom of the bag to give it some depth, solid straps, and a cute detail of piping on the top of the bag and the top of the pocket. The pattern uses two coordinating fabrics, fabric for the straps, the optional piping, and fusible fleece to keep it sturdy. This is perfect for a library tote bag and it even looks polished enough to use as a summer purse. If you’re like me, you can’t get enough pockets in your bags. 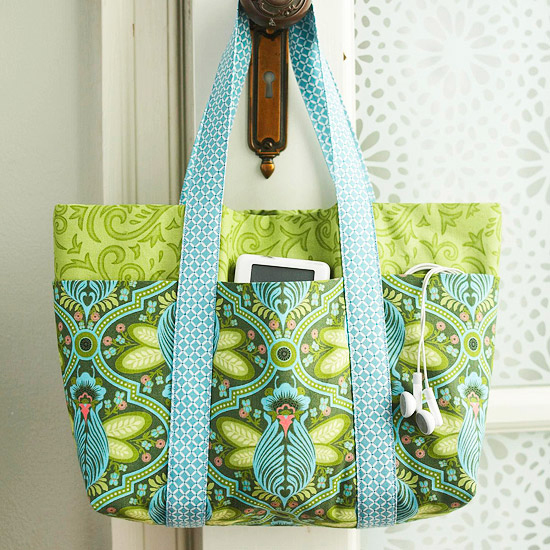 This free Six-Pocket Tote Bag pattern from Better Homes and Gardens has three pockets on each side of the exterior. Two contrasting exterior fabrics and a strap give it a sleek yet fun look. 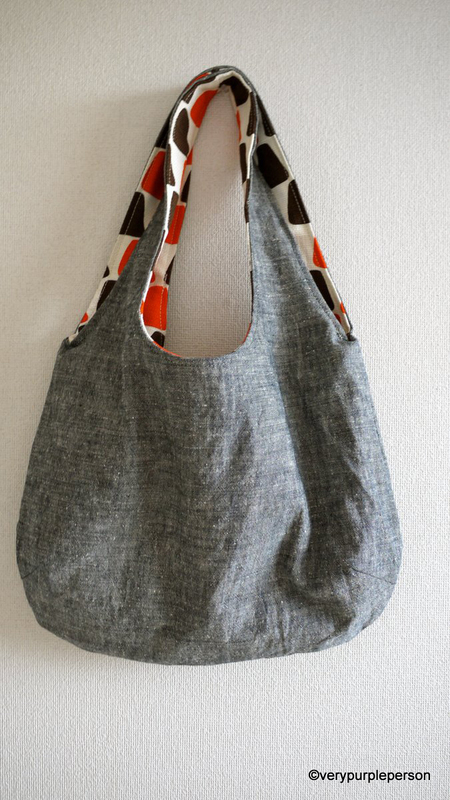 Here’s a free tote pattern from Purl Soho called the 20-Minute Tote. 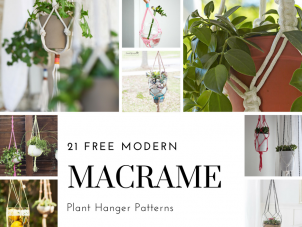 With just 1/2 yard of fabric and some cotton webbing, you’ll be able to sew one up in just 20 minutes. These are so easy to sew up, consider using them as reusable gift bags for the holidays or birthdays. 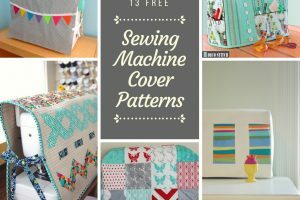 If you have a little more time, check out their 40-minute tote tutorial which adds a lining and boxed corners. 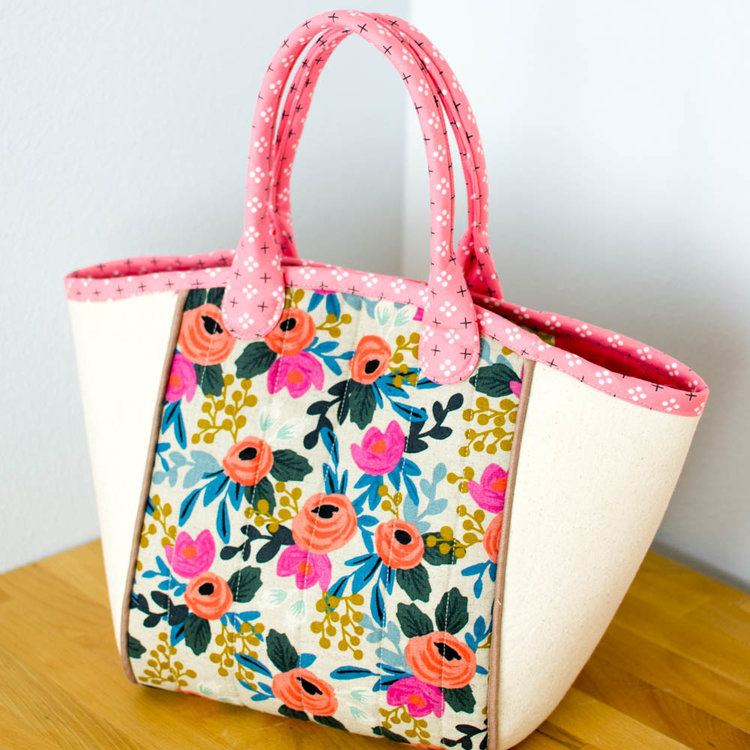 If you’re looking for something more than your average everyday tote, this Basket Tote sewing pattern from Sew Can She is a great free tote bag pattern for you to try. The handles are the perfect length, making this a great bag to fit over your shoulder or carry as a tote. The handles are the perfect length, making this a great bag to fit over your shoulder or carry as a tote. Three panels make up the body of this roomy tote with piping details to give it a professional look. There are directions on how to add a magnetic snap or a zipper for closure. 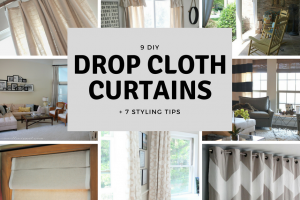 Anna Marie Horner has a great tutorial for a Dish Towel Tote Bag that you can make up with dish towels you already have or ones you can pick up at the thrift store or find on clearance. Just use two dish towels and follow the few steps it takes to make some handles and box the corners. You’ll be ready to go in no time. 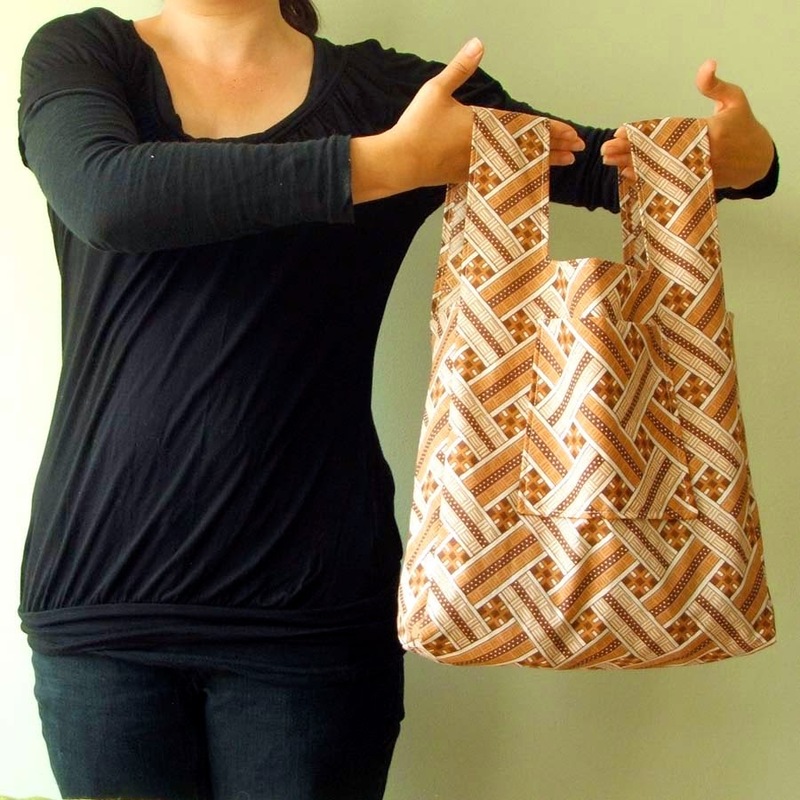 This Foldaway Market Tote from Me, You, and Magoo folds up in a small square, making it perfect to stick in your purse for your next trip to farmer’s market or the grocery store. From one piece of fabric, you’ll cut just six pieces to make the body, sides, and small pocket on the outside. 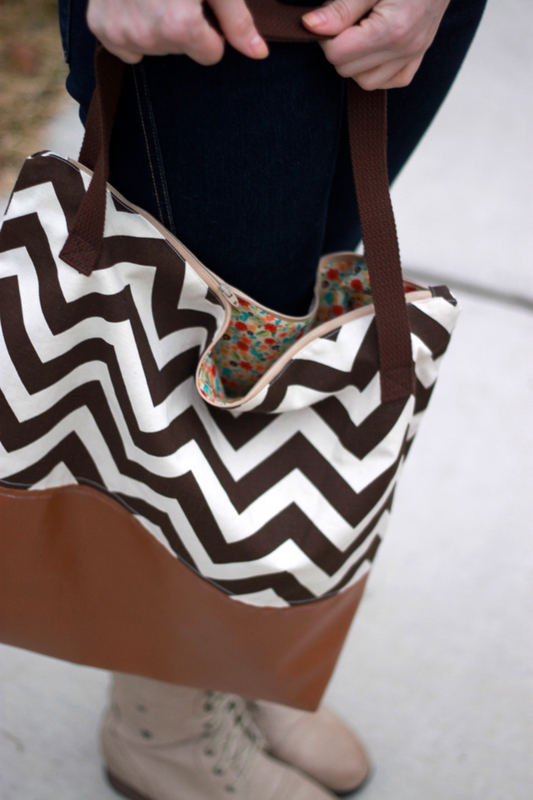 Take your sewing to the next level with this Leather Bottom Tote pattern from See Kate Sew. A leather (or faux leather) bottom upgrades this tote to handbag status but still looks casual enough for everyday use. Zipper tabs, a boxed bottom, and a full lining really elevates the look. 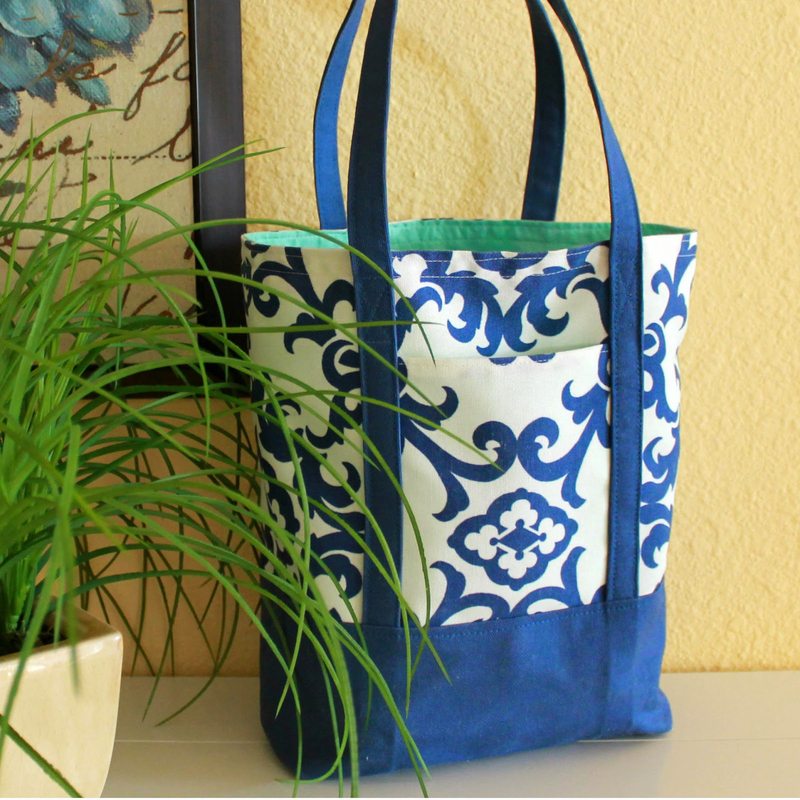 This free tote pattern from The Inspired Wren will get you a fully lined canvas fabric tote with outside pockets and boxed corners. This heavy-duty tote can be used just about anywhere and the sturdy bottom will make sure all your belongings are safe. 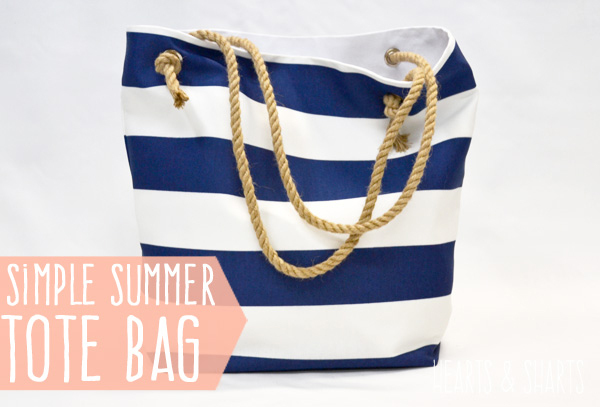 Here’s a summer tote bag pattern from The Crafting Chicks that would be excellent to take to the beach, the pool, a picnic, or anywhere your summertime adventures may take you. This bag features a roomy lined interior along with a rope handle attached by grommets. Moda Bake Shop has a free tote bag pattern called the Hushabye Tote Bag that even comes with a pattern for a matching quilt. What a great idea for a gift! The highlight of this bag is the quilted outside pockets made from a jelly roll, along with added interfacing to make it a sturdy bag you can use for almost anything. Boxed corners and an interior pocket complete this lovely tote. It doesn’t get much easier than this! 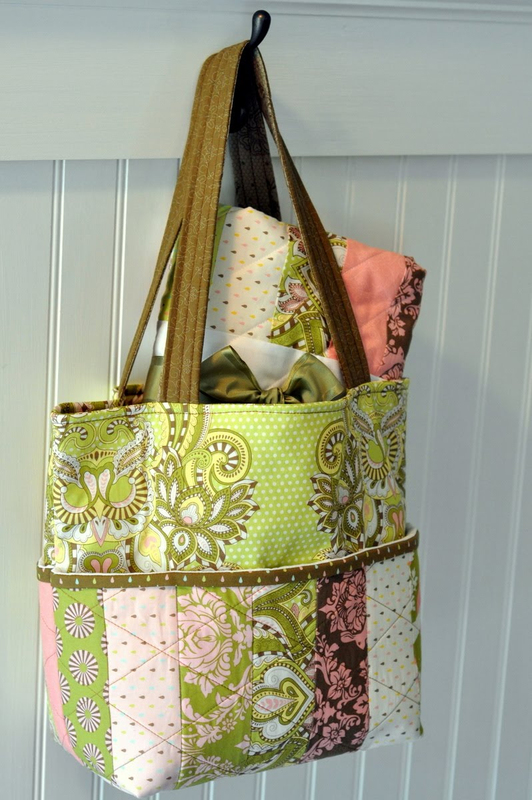 This Easy Tote Bag pattern from Diary of a Quilter uses one fat quarter plus some fabric scraps for the handle. You even have enough fabric for a lining. This little tote bag is perfect for the library or running errands. Kids love them too! Consider setting aside that sewing machine to make this No Sew T-Shirt Tote from Craftaholics Anonymous. 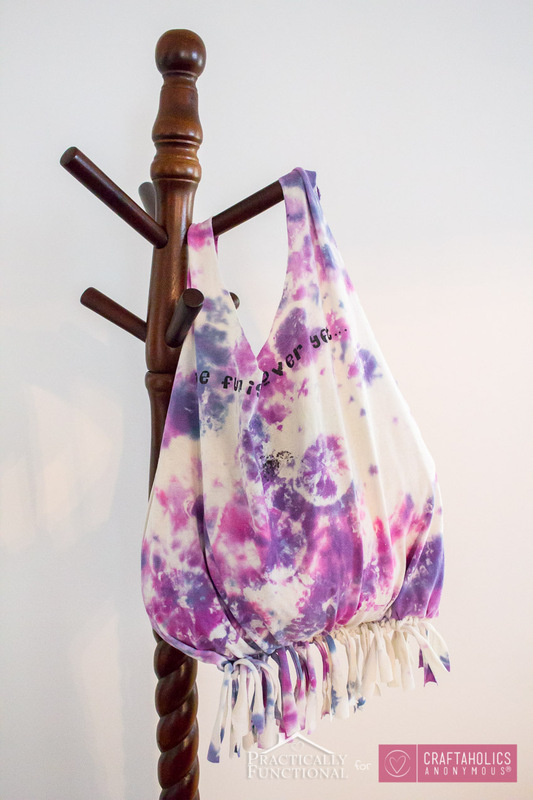 Grab and an old t-shirt and some scissors and that’s all you need to make this cute bag. Ten to fifteen minutes later and you’re all ready to go. This would be a great project for kids as well, and a wonderful way to use favorite t-shirts that they’ve outgrown. Here’s a tote bag that’s going to give you two different looks because it’s completely reversible. Very Purple Person has made this Reversible Tote bag that just takes two different fabrics, each cut into two pieces. To make sure this comes out nicely pay attention to your bobbin thread so you don’t get any thread bird nests.